A 401(a) is a type of deferred compensation retirement savings plan. This type of plan is a component the Internal Revenue Code Section 401, which concerns deferred plans. Usually, 401(a) plans are provided by government entities. Learn more about a 401(a) retirement plans and how it compares to a 401(k) plan along with the tax benefits. A 401(a) is a retirement plan provided to government employees by the federal or state government, their agencies or other affiliated institutions, a political group or an Indian tribal government. The employer establishes the plan, maximum donation amounts and vesting rules. Maximum contributions are also subject to the Internal Revenue Service (IRS) limit. In 2011, the IRS limit was $49,000. This limit is cumulative. The employer and employee can contribute to a 401(a) plan, either separately or simultaneously. Sometimes, participation in these plans is mandatory. In this case, once the employee elects to participate, they cannot stop doing so. However, participation may cease when the employee no longer works for the employee. Some plans may permit employees to contribute additional, post-tax dollars to their plan. This option is provided at the discretion of the employer, but in any case cannot exceed 25 percent of the employee's total income. Contributions are made with pre-tax dollars. As such, the employee is not taxed on them. Employees are also not taxed on any employer contributions. Withdrawals or distributions are taxed when received. Early withdrawals or distributions, meaning those given to the employee before they reach retirement age as defined by the plan are subject to taxes and an additional penalty. Acquired funds may be rolled over into another deferred compensation plan, such as a 401(k), traditional IRA or a Roth IRA, or into an annuity. Withdrawals may be received in the form of a lump-sum payment or periodic payments. 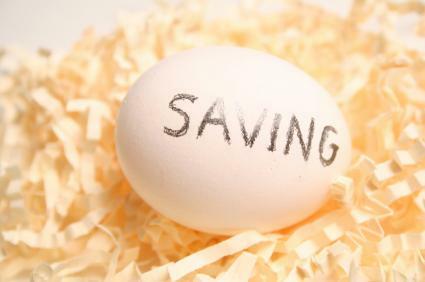 There are several differences between 401(a) and 401(k) plans. First and foremost, a 401(k) is essentially a subset of a 401(a). Section 401(a) of the IRS Code defines qualified retirement plans. A 401(k) plan is a component of that definition. In addition to providing a definition for all deferred compensation retirement plans, a 401(a) allows employers to establish these plans for their employees. It also allows employees to contribute to them. This is different than a 401(k), which does not inherently contain the option for employees to contribute. Finally, in a 401(a) plan all employees contribute the same amount of money, regardless of their position or income. Therefore, in a plan calling for a four percent contribution, the highest executive and secretary would both contribute four percent; the employer would match it by contributing another four percent. A 401(a) has several tax benefits. The most important of these is that it reduces the amount of taxable income on an employee's paycheck. Essentially, by contributing pre-tax dollars, there is less income for the IRS or state tax agency to tax. Similarly, these pre-tax contributions may be taxed at a lower rate than the employee's current tax bracket. This is because, when withdrawals are begun, the employee may be in a lower tax bracket than they were when they earned the contributions. The fact that 401(a) contributions are not taxed also means that contributions can grow tax-free until distributed. This increases the amount of an employee's retirement savings. Another benefit is that 401(a) participants may also contribute to other types of retirement plans. Specifically, participants may also contribute to a 457(b) deferred compensation plan, which is another retirement savings account specifically designed for government or non-profit employees. These contributions are still subject to maximum amounts, including the IRS $49,000 maximum, but would further reduce the employee's taxable income. If you are offered a 401(a) by your employer, consider its terms and how much your employer will match your contributions, if anything. Remember that your participation may be required and that you may have no choice in the amount you can contribute. Nevertheless, the fact that a 401(a) offers tax savings as well as helps you prepare for retirement makes it a valuable financial tool.